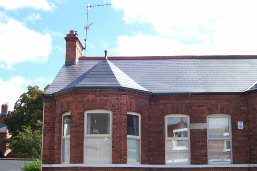 Bangor Blue Slate Roofs Repaired. Flat Roofs, Felt, Trocal &.Butyl Systems. Lead Flashing / All Forms Renewed. Chimneys Built / Re-pointed & Lead Flashing Renewed. Chimney Pots, Vents, Bird Cages & Cowls Installed. 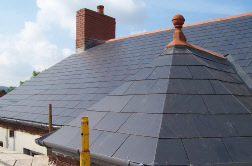 Replacement of missing or broken Roof / Ridge Tiles or Slates. Re-bedding/ Re-pointing of Ridge/Verge Tiles. Dry Verge / Ridge / Systems installed. 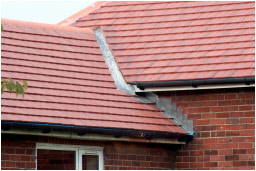 Any problem with your roof we’ll resolve it.